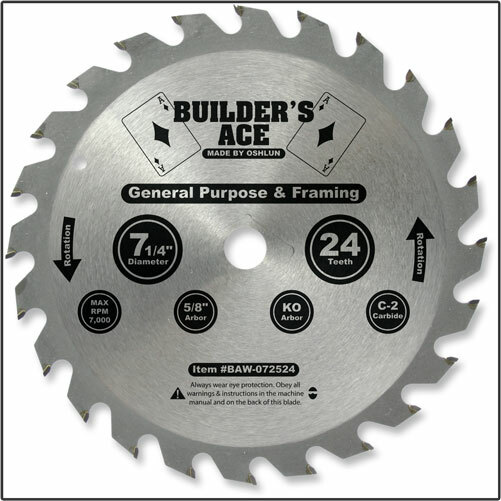 The Builder&apos;s Ace Series blades have been designed as a low cost option for general purpose and finishing work with various saws. 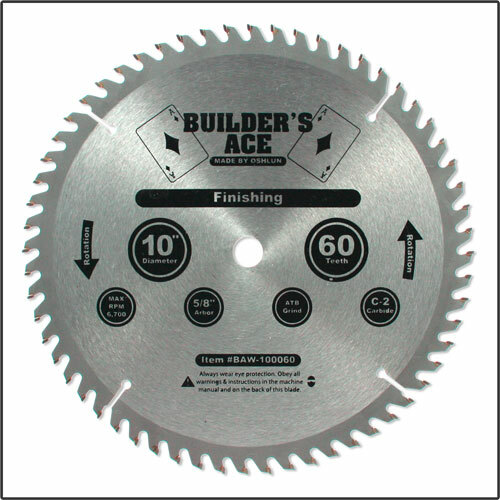 They all feature C-2 tungsten carbide tips and a thin kerf for fast cuts. 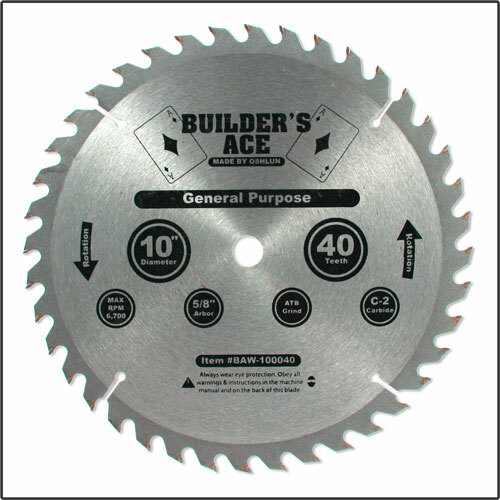 The 10” blades also feature expansion slots. 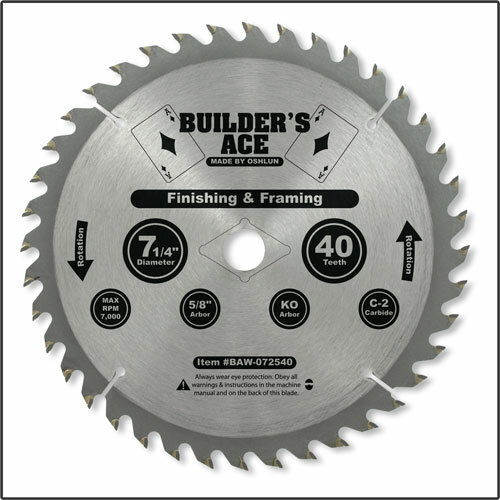 Great blades for budget minded contractors.